Through our network of dedicated pet care service providers we can help arrange in-home services to help you manage and maintain the health of your pet. 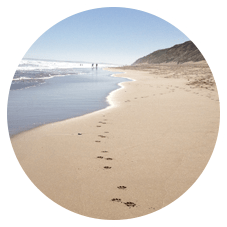 Our compassionate home euthanasia service is one that we have developed with a whole heart and commitment to ensuring a pet can leave this life in the comfort of a familiar environment, in the company of family (if this is desired) and without stress or pain. A local veterinary initiative has joined the ranks of world-leading businesses committed to doing good in their communities. Bellarine Peninsula-based Cherished Pets Community Veterinary Care has become the first vet service in Australia and the world to become a Certified B Corporation. B Corps are leaders of a global movement inspiring businesses to not only be the best in the world, but to be the best for the the world. Certified by non-profit organisation B Lab, they meet higher standards of social and environmental performance, transparency and accountability. Death is a part of our lives at Cherished Pets. And we’re ok with that. It is actually a part of our purpose to support pets and people through end of life. 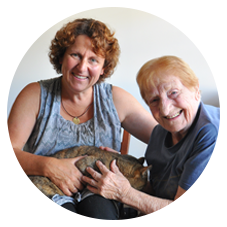 Through our end of pet life service we provide home based guidance and care to people whose pets are in their final life phases. Whether it be a terminal illness or disorders of old age, our quality of life assessments enable us to create dedicated home based pet care plans to ensure pets are comfortable and pain free through these final days, weeks and months. We offer home hospice pet care and help people prepare for a pet’s passing.